Posted on Sun, Mar 4, 2012 : 5:55 a.m.
A particularly special year for one of the most important events on our city’s cultural calendar, the Ann Arbor Film Festival celebrates its golden anniversary later this month with all kinds of must-see programming both new and archival. The festival was once again inundated with entries, with around 200 films chosen out of the 2,700 submissions sent in from more than seventy countries. This is the fourth festival helmed by Donald Harrison, the friendly and erudite University of Michigan grad with a boundless passion for boundary-pushing films. Recently I had a chance to talk to the festival’s director about his plans for the 50th edition of what is widely regarded as one of the most important showcases for experimental cinema anywhere. The Ann Arbor Film Festival takes place at the Michigan Theater and other locations about town from March 27 through April 1, with more info at www.aafilmfest.org. Q: What do you have planned for opening night celebrations this year? A: I know we say this every year, but this year we really mean it: you can’t miss opening night! In addition to our always spectacular reception and screening, the festival’s founder, George Manupelli, will be in attendance. He started it back in 1963, and was in many ways ahead of the curve for knowing what was needed for independent filmmakers. The response was fantastic once he did it; there was a need here for this kind of forum, this kind of event, for what artists were doing with film, especially for films that were not going to be commercial films. You had filmmakers like Kenneth Anger and Yoko Ono and Jack Smith, work that was challenging, shaking things up and exploring new ideas. Ann Arbor was seen as one of those places that was ahead of the curve, and the Film Festival was part of that. Q: Has the festival’s uniqueness been a key to its success over the last 50 years? A: That’s right; I think the founding spirit is built into our mission: to put the filmmaker-as-artist first and foremost, and to be excited about new ideas, new techniques, personal work and political work. We’re interested in that whole landscape of what’s happening in relationship to, but in large part outside of, the commercial film industry. This is where you’re first seeing the progression of filmmaking, media making, video making, video game sampling, fair-use collage, appropriation, art-making, all these things. For us we’re really excited to see that people who are at the forefront of that are sharing work at this festival. We have great conversations and audiences and dialogue with the artists, and that’s what I find one of the most special aspects of an event like ours. Q: Can you share more info about the archival programs you’re presenting as part of the festival’s 50th anniversary? A: The Academy of Motion Picture Arts and Sciences came on as a major supporter to help us do these archival programs. They’re underwriting our archival programs and some of the archival prints are coming from the academy as well. We also have their film preservationist Mark Toscano coming in to introduce a film and also be part of our panel on preserving and archiving film and video. They’re supporting us being able to show influential and rare films from the last 50 years and have those in conversation with new contemporary works. In many ways this festival can be like an intensive film school but a lot more fun. Q: Can you name one or two other presentations you’re particularly proud of presenting? 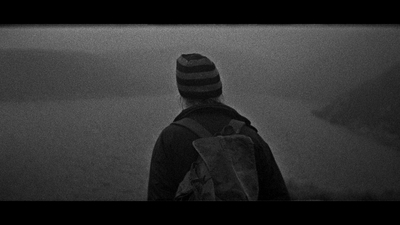 We’re showing the new feature-length film by Scottish director Ben Rivers, “Two Years at Sea,” a work which won a top prize at last year’s Venice Festival. He’s one of the rising starts of the indie film world. There’s also a spectacularly beautiful feature film called “Voluptuous Sleep,” an abstract work that in many ways gives you an opportunity to experience cinema in a new way. It looks at the world on both a cosmic level and microscopic level simultaneously. Director Betsy Bromberg created this entire abstract world within her backyard using her expertise in lighting and cinematography. It’s an incredibly gorgeous film, but it also becomes a different kind of viewing experience. Q: I have the pleasure of hosting a selection of music-oriented films at the Michigan on Wednesday, March 28 at 3 p.m. Can you give us some details of what will be shown that afternoon? A: Of major interest will be “In the Beginning Was the End: The Truth About De-Evolution, by Chuck Statler. That won an award in 1976 here in Ann Arbor, went on the traveling tour and helped get Devo discovered. There will also be music videos by Cult, Matthew Dear and Chicago-based Cave, plus we’ll also show one by the Residents that played in the festival back in the late '70s/early '80s. Q: And how about a final thought on some other don’t-miss programs this year? A: There’s going to be threads that focus on different parts of the world. There are two programs focusing on the last 40 years of Japanese avant-garde film, films that have rarely been seen in the U.S. That’s an exciting opportunity to see a whole other world of artists experimenting with film in the Japanese arts and culture scene. There are also three programs that are dealing with issues in the Middle East, including a shorts program of works from Morocco, Palestine, Lebanon and Israel, a special program dedicated to Syria’s greatest documentary filmmaker, Omar Amiralay, and a feature film from Iran. There are 50 programs in all, many free screenings, and panels with some of the top people in the country coming to town. Many programs feature work you are unlikely to know anything about, but you’ll discover something that will stay with you, inspire you, and challenge you, and that’s what a lot of the people in this town are so excited about. They’re going to see something they’ve never seen. There is something for everyone, something engaging, something fun, even if you think you don’t like experimental film. I encourage people to check it out, because there are films that are ready to be discovered and appreciated by everybody. And speaking of cinema, Martin Bandyke’s Moving Pictures film series continues on Monday nights at the Michigan Theater this month with the following screenings: Gimme Shelter (March 5), Who is Harry Nilsson (And Why Is Everybody Talkin’ About Him?) (March 12), and Don’t Look Back (March 26). Details at www.michtheater.org. Martin Bandyke is the 6-10am weekday morning host at Ann Arbor’s 107one, WQKL-FM. Follow him on Twitter, Facebook and at www.martinbandyke.com.